The draft is now just a few days away, suspense is building and Agree to Disagree is back with Positional Rankings, next up is the Defensive Tackles. 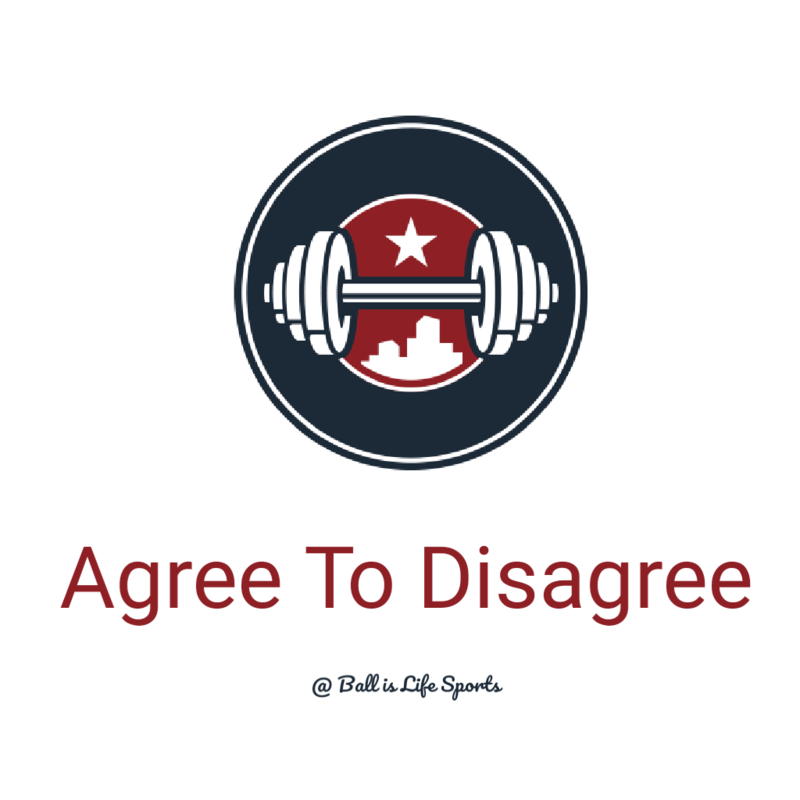 This week rabid Eagles fan, NFL savant, and official co-host of Agree to Disagree, Justin Polasek joins us. Payne is a dominant athlete with above average speed at the position, and strong enough to bench 400 in high school and obviously gotten stronger. In addition to his natural athletic ability he's also technically sound, and well coached like most players coming from the Alabama program. Payne is one of the best run defenders I've scouted in the last few seasons, and is has improved as a pass rusher as he lost weight. Plays very hard and should develop into a pro-bowl player early in his career. It's easy to forget that Hurst was being talked about as potentially the best player at his position before being diagnosed with a heart condition at the Combine, that he was later cleared of by the doctors at Michigan. Hurst is a little small for the position and will more than likely only be effective as a tackle in a base 4-3, but is explosive enough to be a dynamic pass rusher in that system. I have a strong feeling that Hurst could get off to a very fast start to his career in the right system. Vea is an absolute mountain of a man, and one of the strongest players in this class with the demonstrated ability to overpower Guards and Tackles at the Collegiate level, but also quick and flexible enough to be effective on the outside rushing the passer. Vea appears poised to be dominant at the next level, but his tape shows that he is alarmingly inconsistent, and that he shows many of the same bad habits he displayed at the beginning of his time in college. He should develop into a very good player but his inconsistency leaves me much lower on him as a prospect than most of the scouting world. With the exception of Hurst, Bryan is the best pass rusher in this group, he has great burst and uses his length to consistently get into the backfield. However Bryan's long narrow frame can also be a detriment as he is often pushed back by stronger blockers. Bryan will need time to add weight and strength in order to be anything more than a rotation player, but he has the potential to be a very good player in near future. There is a pretty considerable drop off after the top four players at the position, and in all honest I probably could have put five or six players at this spot with very similar grades. I chose Hill because I felt his natural athletic ability gives him the best chance to be a rotational player early and grow into a starter as he builds strength. Payne is a very powerful player who has plus athleticism. He's known for his physically dominating presence in the run game. His plays hard with a motor that doesn't stop. Would like to see more from a pass rushing standpoint, but in the two gap scheme, that he excels at, it's hard to know whether his goal is to eat blocks or get pressure. Him and Vita are really close, but I think Da'Ron has higher potential as a pass rusher and is a better athlete, so that gives him the nod here. At 347 pounds, Vea is an intimidating force in the running game. He will over power just about anyone that gets in his way. He needs to get more consistent and learn to rely on his technique rather than power, but the potential is there for him to be a very good 2 gap run stuffer in the NFL. Depending on the type of DT you want, Hurst may be the first one taken on draft night. He is a great interior pass rusher, who can really shoot through the line to get quick penetration. He doesn't have nearly the power or run stuffing ability that Vita and Payne have, so he's not going to succeed in a 2 gap scheme, but in a 3 technique scheme that allows him to penetrate, he will thrive. He still has work to do to get a better feel for the game and become technically sound. That said, the tools are there, he has elite burst to get off the line and penetrate the pocket and a motor that works overtime. With a little coaching and some added weight, Bryan may very well become the best interior lineman in this draft 2-3 years down the road.